In this Networking based Computer graphics Projects, we introducing again the Selective Repeat Arq. 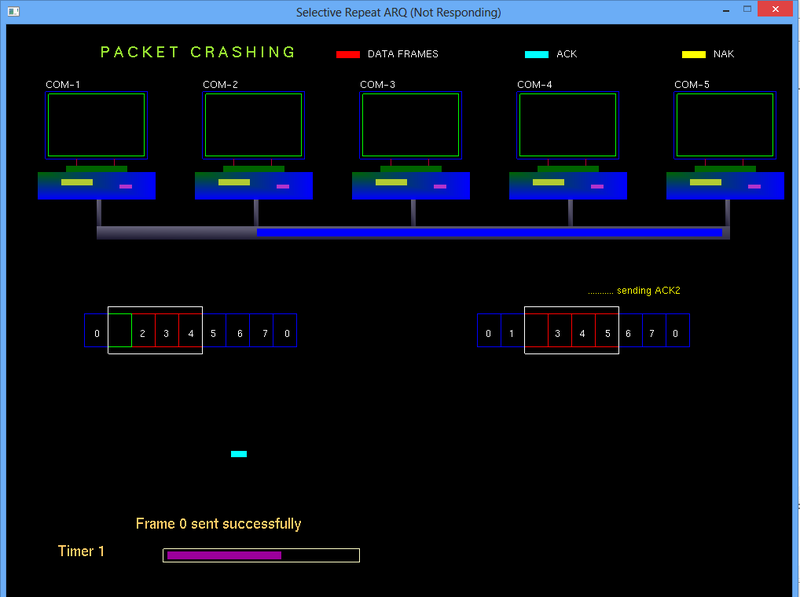 It is the modified version of the earlier Networking based OpenGL Mini-Project : Selective Repeat ARQ. Selective Repeat Arq is good project based on the networking algorithm. It has the functionality shown in manner to show case how the data transmission occurs in network.It deals with all the aspects, conditions that actually happens to transfer of data from the source to destination.